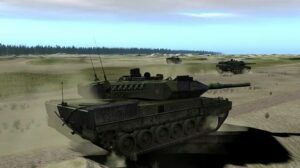 The premier product, Steel Beasts Professional, utilises gaming technology to yield a high-fidelity low-cost solution suitable for a wide range of different application cases. The Steel Beasts software is a vehicle-centric virtual simulation replicating fire control systems in great detail. 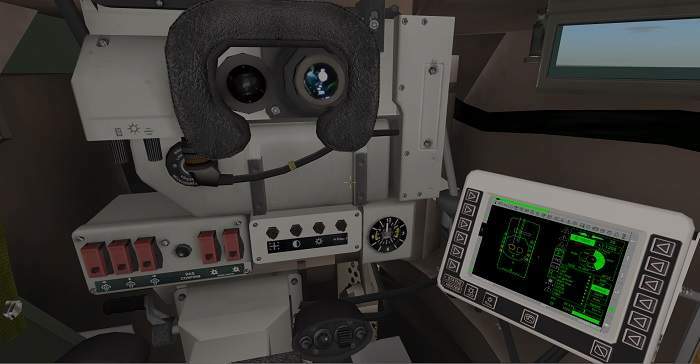 It includes features to observe the individual crew members’ activities and enables students to repeatedly rehearse the most common crew procedures in combat situations. 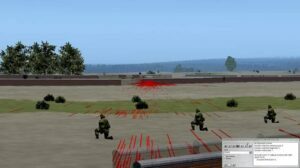 Every lesson can be embedded in a tactical context, thanks to the integrated editors for mission design and terrain database creation. This creates the opportunity to force students to contextualise their actions as a crew and evaluate their decision-making within this tactical context. 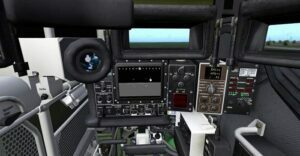 Precision gunnery training can be performed in the form of desktop trainer stations if combined with third-party control handle replicas from eSim Games’ partners. 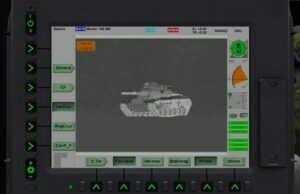 The software has also been successfully integrated with Leopard 1 and CV9035 turrets, and with remote weapon stations as an appended trainer for optimal instrumentation fidelity. 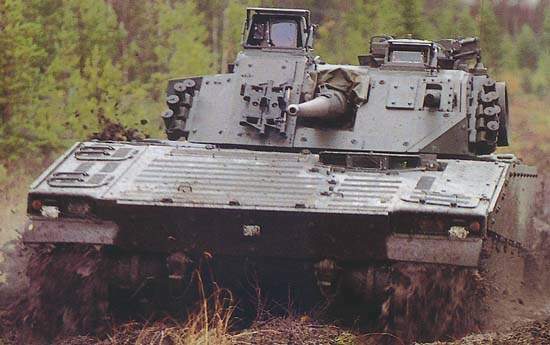 Steel Beasts includes fire control system solutions for IFVs ASLAV-25, BMP-2, CV9030, CV9035, CV9040 (Bofors), DF-30 (Elbit), M2 / M3A2 Bradley, Marder 1A3, ASCOD Pizarro and Ulan, VEC-M1, and MBTs Centauro (TURMS), DF-90 (Elbit), Leopard (SABCA), Leopard 2 series (Wegmann), M1A1 Abrams and M1A2 SEP (Textron), T-72M1. Also simulated are remote weapon stations Lemur (Bofors), CROWS / Protector 151 and 153, MiniSamson (Rafael), and ERCWS-M (Elbit). 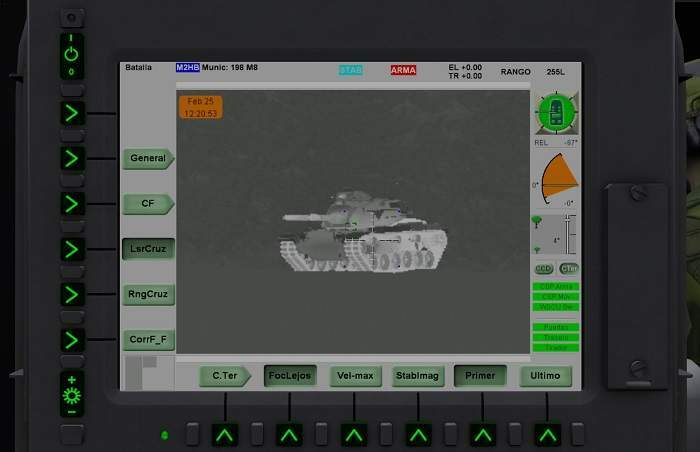 Steel Beasts has been successfully integrated with a containerised legacy simulator of the MBT Leopard 2A4, therefore extending the operational lifetime of the installation by at least one more decade at minimal cost. It also offers a span of control that is not usually found with other virtual simulations, allowing a single lower-control (LOCON) operator to control the mounted and dismounted combat of an entire mechanised platoon. Crew positions not under human control will be effectively substituted by computer control, enabling company-level exercises, if necessary, with minimal operator staff while maintaining a high level of fidelity of procedures and simulation outcomes. With desktop trainer stations, SB Pro offers an inexpensive opportunity to combine high-performance war-gaming capabilities with simultaneous access to 3D visualisation of the virtual battlefield for commander, staff, and unit operators at any location of the battlefield. 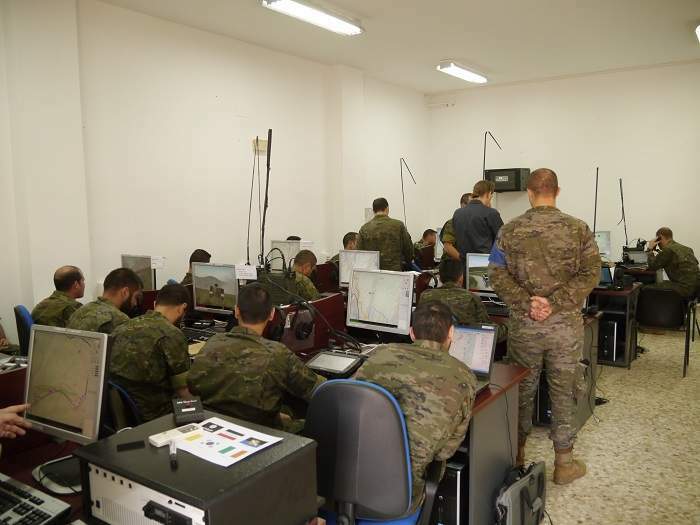 Detailed mission recording and tabulated reports of mission events allow for after-action reviews and statistical analysis. 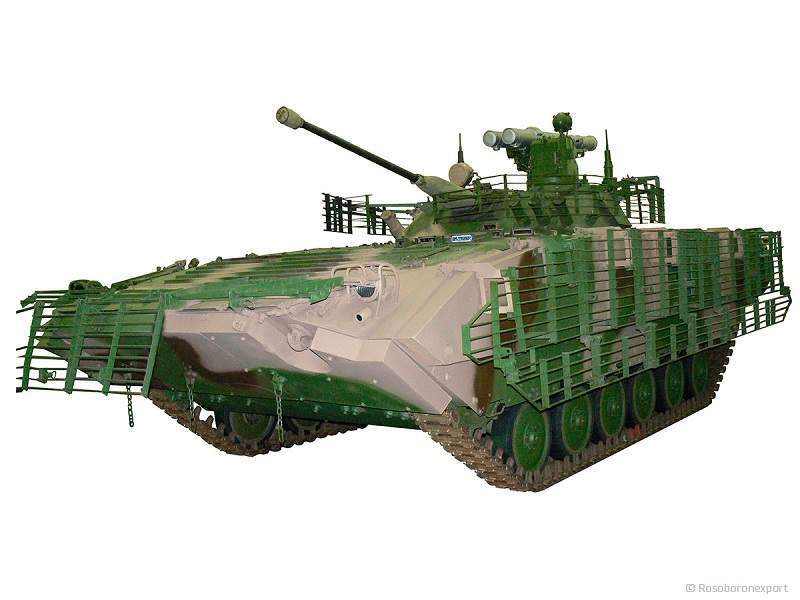 Steel Beasts uses high-fidelity modelling of sensor capabilities, armour protection, mobility characteristics, exterior and terminal ballistic effects, ranging from small arms fire to joint direct attack munitions (JDAMs). It is renowned for effective correlation with real-life performance. 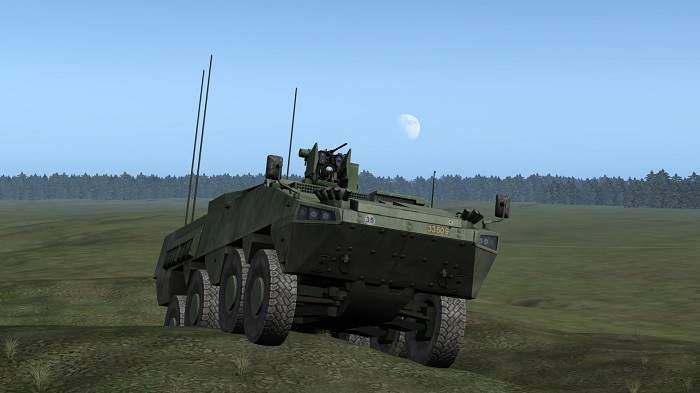 Tactical elements include offensive and defensive engineer options, air support, mechanised and airmobile infantry, artillery support, electronic warfare, air defence, medical evacuation, unmanned aerial vehicles (UAVs) and unattended ground vehicles (UGVs), and more. 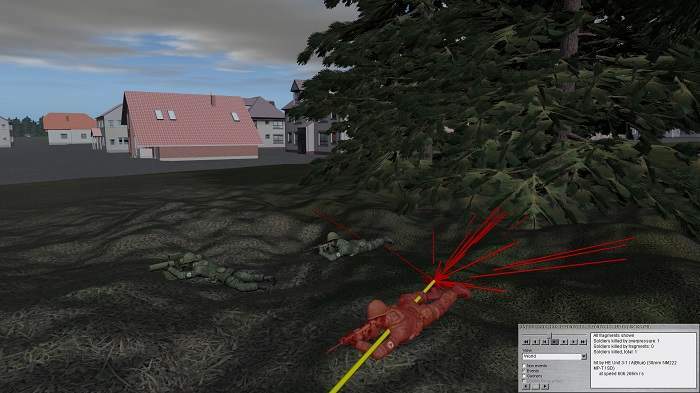 Integrated editors for terrain databases and exercise scenarios are efficient and intuitive-to-use tools for generation of training content. eSim Games has formed successful partnerships with a variety of defence contractors for a broad spectrum of hardware and systems integration, due to a number of easy-to-use APIs for different integration cases. 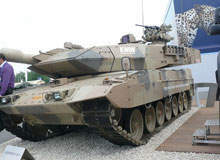 These collaborations yielded training systems in a number of countries, ranging from battlefield management system stimulation, weapon station-appended trainers, lifetime extension of containerised legacy simulators, to vehicle-appended trainers with extremely complex and demanding fire control systems. The simplest and most cost-effective solution is desktop trainer stations with partial instrumentation, most notably, control handle replicas from third-party vendors. The basic product offers a broad spectrum of application cases. 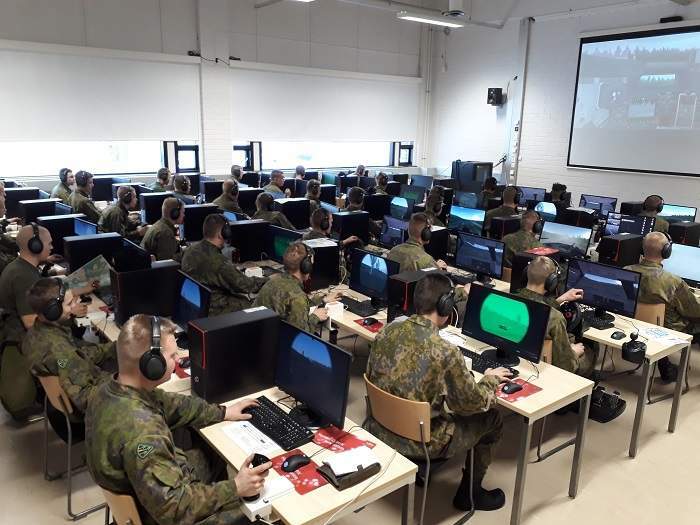 Nevertheless, military training demands solutions that are tailored to the identified gaps in an existing training curriculum. Therefore, at the beginning of each customer contact stands a detailed didactical analysis. This analysis exhibits how the intended use ties with preceding and subsequent phases of the students’ career path. Based on that analysis, eSim Games develops solutions that accurately reflect the customer’s requirements in a cost-effective manner. 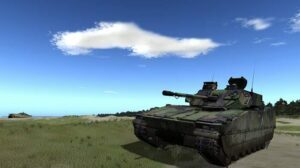 eSim Games is an independent software developer, with initial development on Steel Beasts starting in 1995. 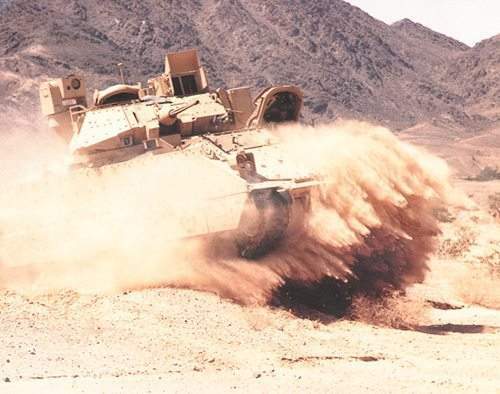 The first version was quickly adopted by a range of military customers, for which numerous customisations were developed and then combined and released as the current product line, Steel Beasts Professional. eSim Games is headquartered in Mountain View, California, with an additional office in Hannover, Germany. 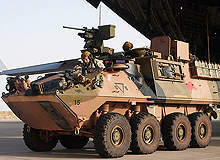 Primary customers are based in Australia and the land forces of European Nato members. 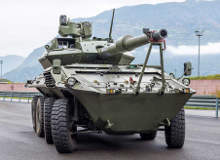 Centauro II wheeled anti-tank vehicle is the latest member of the Centauro family of armoured vehicles developed by the Iveco–Oto Melara Consortium (CIO). 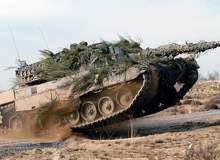 Krauss-Maffei Wegmann (KMW) designed and developed the Leopard 2A7+ next generation main battle tank (MBT) for the German Armed Forces.